Q: What is native habitat restoration? Why is it important? 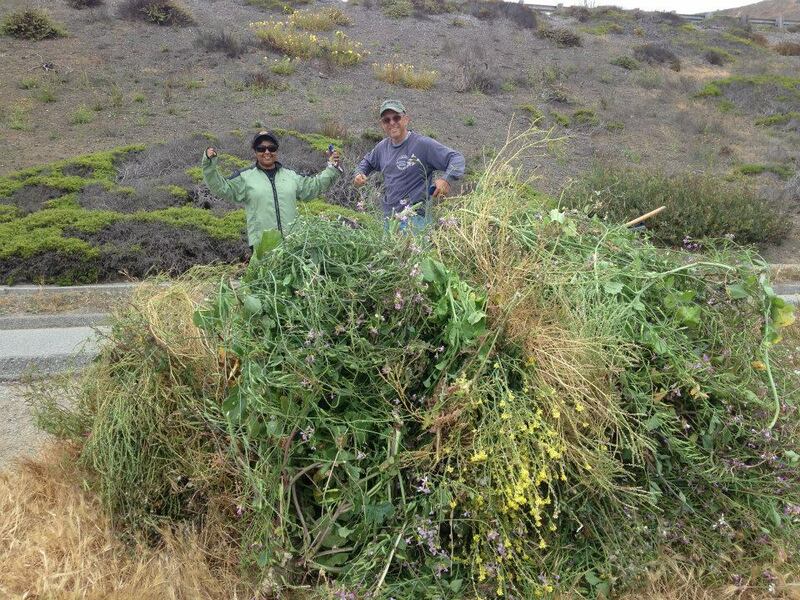 A: Restoring our coastal landscape involves removing non-native invasive plants and weeds (i.e., ice plant, mustard and ox tongue) to make way for planting coastal native plants (i.e., beach sage, seaside daisy and strawberry) to maintain, increase and sustain biodiversity. Coastal sand dunes are among the most dynamic and fragile natural formations relying on our commitment to protecting and preserving them. Native plants are believed to host up to 400% more insects by mass as a food source than non-native plants. Restoration is vital to a healthy ecosystem and protects the beach, shorebirds, and wildlife. In Pacifica, restoration is critical for supporting the wintering habitat of the threatened Western Snowy Plover population on the Pacific coast as well as the coastal bees. Q: Are native habitat events educational? Will I learn about nature? A: Yes! While our native habitat restoration events are part of our field programs, they are also an important component of our education programs. They provide a unique hands-on experiential learning experience for participants who gain a greater appreciation for nature and preserving habitat, wildlife and the coastal environment. Q: What is the Give Back Patch Fund? A: The Fund is dedicated to receiving tax-deductible contributions directly supporting the purchase and growing of native coastal plants, hands-on education, plant transportation, coordination, pots, tools, gloves, water, volunteer provisions and more. You can help create a more biologically sustainable beach and fill the patches with native plants by making a contribution to the fund. Q: Who can participate in native habitat restoration? Can children participate? A: Volunteers of all ages – young and old, experienced or inexperienced including children under the age of 14 (with guardian supervision) – are welcome to get their hands in the sand and join the learning experience alongside other stewards of our native habitat. 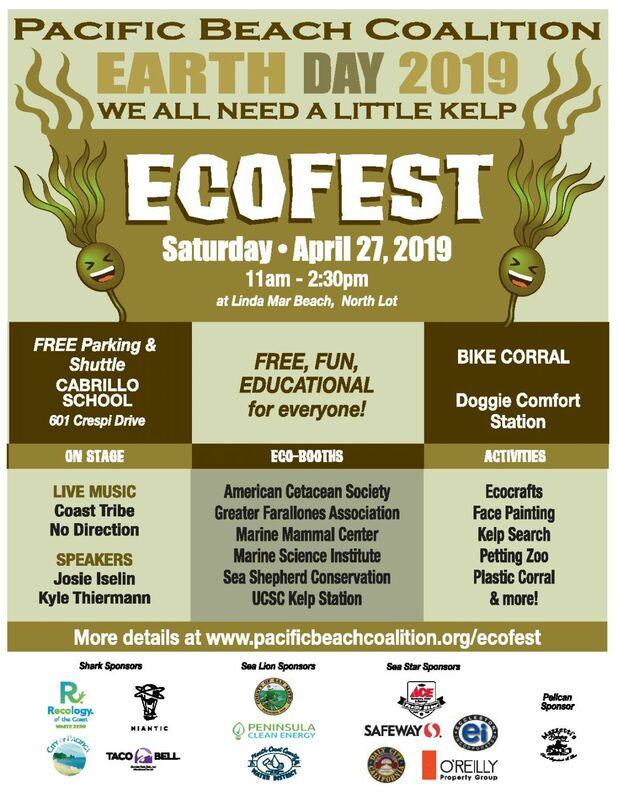 In fact, joining a restoration event is a fun family-oriented way to take action, begin or continue environmental stewardship, and be an Earth Hero! Q: When and where do native habitat restorations take place? A: Events are held on the fourth Sunday of the month at Linda Mar Beach from 10am-12 noon. Check our online monthly calender for exact dates. 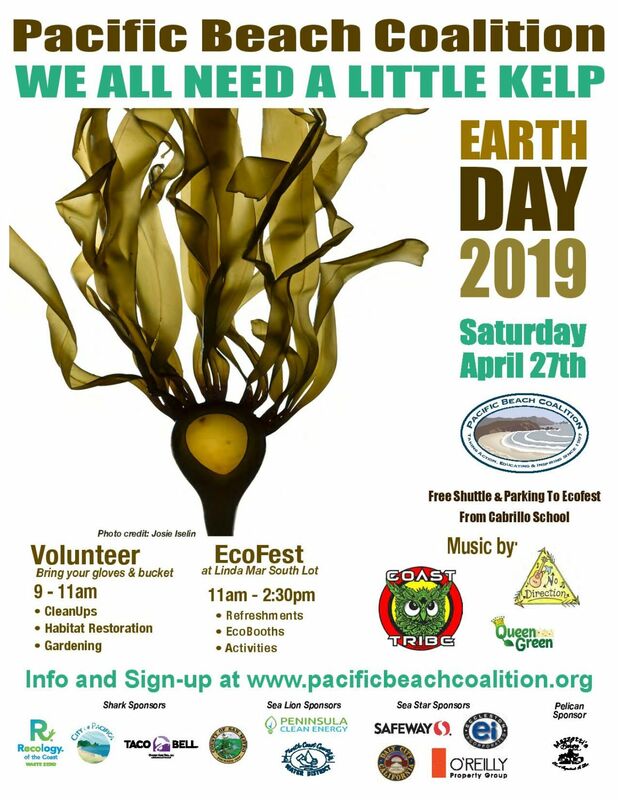 Restoration also takes place at other times throughout the year during Earth Day of Action in April, Coastal Cleanup Day in September and other scheduled team-building events coordinated by the Pacific Beach Coalition. Q: Do I need to register to attend native habitat restorations? A: All volunteers are encouraged to pre-register by completing and submitting our online sign up and waiver form, particularly if you are part of a group of 10 or more. For logistical purposes, we notify our site captains of the number of volunteers expected to attend in advance. Pre-registration saves time, conserves paper, and allows participants to submit our waiver form required of all volunteers in advance. If you’re unable to pre-register online, you may register and sign the waiver during check in at the restoration site. A: You may park at Pacifica’s Community Center located at the corner of Highway 1 and Crespi Drive. Cross at the traffic light then walk north on the bike path towards Rockaway Beach. Pick up a parking pass from the site captain upon check-in. Q: What should I bring to a native habitat restoration event? A: Each volunteer should bring a favorite planting tool, a shovel or hoe, and a pair of reusable cloth gloves to reduce waste and be more sustainable. We also provide tools and supplies at check-in. Bring snacks and plenty of water (preferably in a reusable bottle). Q: What should I wear to a cleanup? A: Volunteers should wear closed-toe shoes (no flip-flops please), layered clothing, weather-appropriate jacket, sunscreen, sunglasses and a hat. Q: Does rain cancel a native habitat restoration event? A: Generally speaking, restoration events are all-weather events and take place rain or shine. Light drizzle or fog does not cancel an event. Heavy rain or high winds might. We strongly encourage you or one member of your team to contact us directly 24 hours before an event if significantly inclement weather is in the forecast. We will also post a cancellation on this website, on our online calendar, and on our Facebook page. If your question has not been answered, you can always contact us directly.